Hi, I'd like to show you this page I found on Suburban Furniture's website. Caged Frame In Antique Bronze, Finished Steel With Beveled Black Tempered Glass Top. Caged Frame In Antique Bronze Finished Steel With Beveled Black Tempered Glass Top. 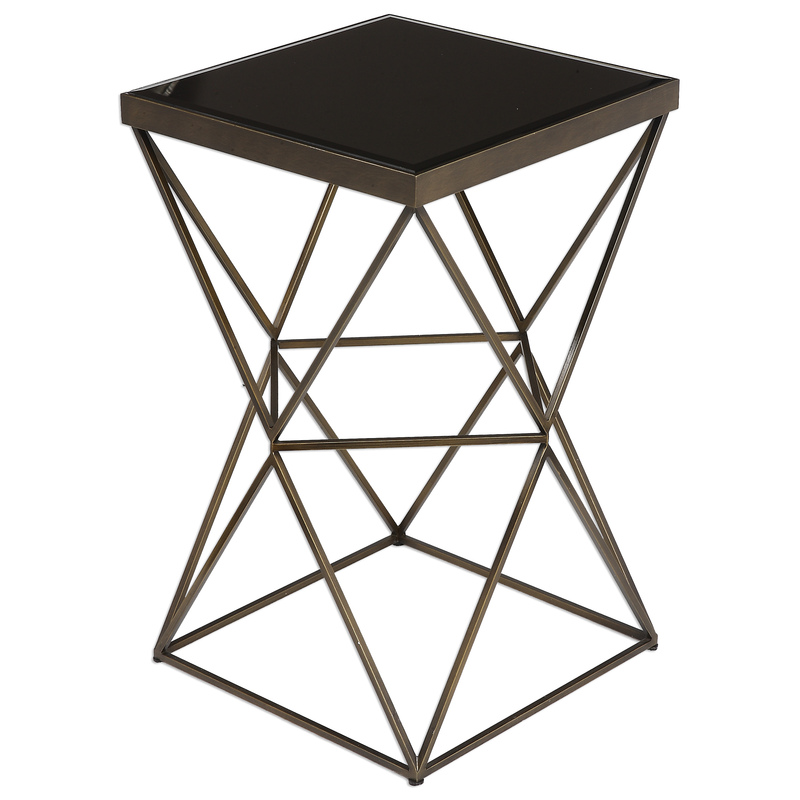 The Accent Furniture - Occasional Tables Uberto Caged Frame Accent Table by Uttermost at Suburban Furniture in the Succasunna, Randolph, Morristown, Northern New Jersey area. Product availability may vary. Contact us for the most current availability on this product. Finish & Paint Options Caged Frame In Antique Bronze Finished Steel With Beveled Black Tempered Glass Top. Browse other items in the Accent Furniture - Occasional Tables collection from Suburban Furniture in the Succasunna, Randolph, Morristown, Northern New Jersey area.